I was delighted to have the opportunity to show new and recent work at ONCA Gallery during Brighton Science Festival. Trash or Treasure was a week of enquiry into the use and misuse of plastic, a material that takes myriad forms and that has endless possibilities. 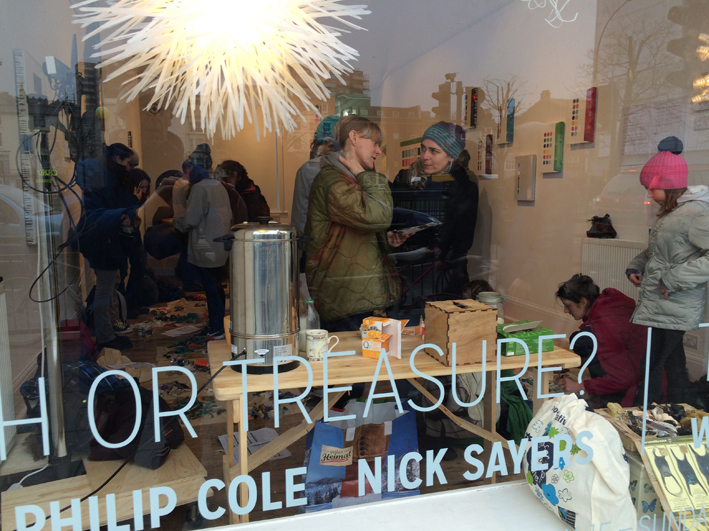 The ten day exhibition also featured a series of workshops and events organised by ONCA Gallery, Brighton. It was also great to work with Nick Sayers whose recycled spheres and zero waste sculpture were also featured in the exhibition. Experimental by nature, I have tended to place an emphasis on the possibilities inherent in a material. Predominantly, I have used Polyester resins and other oil based derivatives. The choice of material has always been an issue that has exercised me, being conscious that it is the by-product of a very controversial and limited resource – crude oil. My perspective for the time being is that this precious liquid should be used carefully and wisely. Unfortunately, the opposite is usually the case as polystyrene and other polymers are used for packaging and cheap throwaway goods. ONCA thought that my considered use of virgin plastic, whilst controversial, would provide an interesting angle to the ongoing debate about the use of plastic during ‘Trash or Treasure’. I too, hoped that this would be the case and also that my paintings might stimulate public interest in them as objects in their own right. 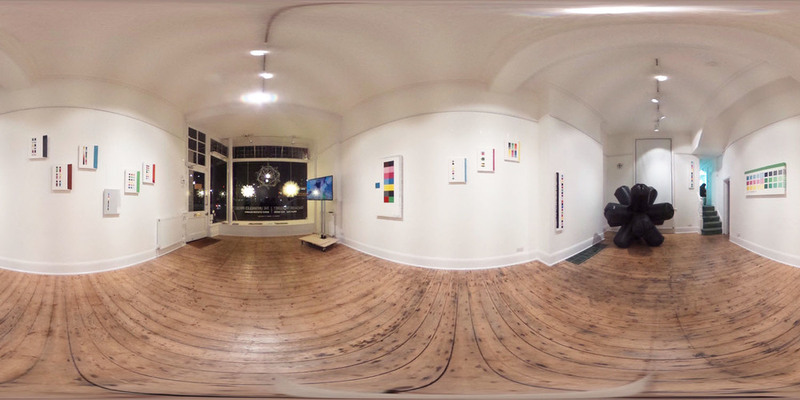 We agreed that I would exhibit some of my work at ONCA during the science festival and lead a workshop in the gallery. I have several reasons for choosing to use plastic for my work, a material that seems appropriate for celebrating and reflecting the time period that we are currently living in – the ‘Plastic Age’. The paintings explore my ongoing interest into the peripherals that I have collected from card and plastic packaging. They seem to me to be perfect hard edged landscapes in their own right and they continue to be a source of inspiration. The paintings exhibited at ONCA were made from coloured polyester – placed, poured and painted onto board. They may celebrate these hard edged landscapes, they may comment on our use and misuse of plastic. Whilst the paintings may have a subject matter, they become more than a painted representation, a copy or an illusion: the pieces are constructed and derived from a particular approach and a technique. The work may be characterised by a procedure: it may raise questions about the act of painting and making and the choice of subject matter, as well as the finished piece itself. I hope to produce something that becomes more than the sum of its parts and that might edge the viewer into a new place. The team at ONCA were very helpful, enthusiastic and accommodating and I wouldn’t hesitate in recommending the Gallery and hub. 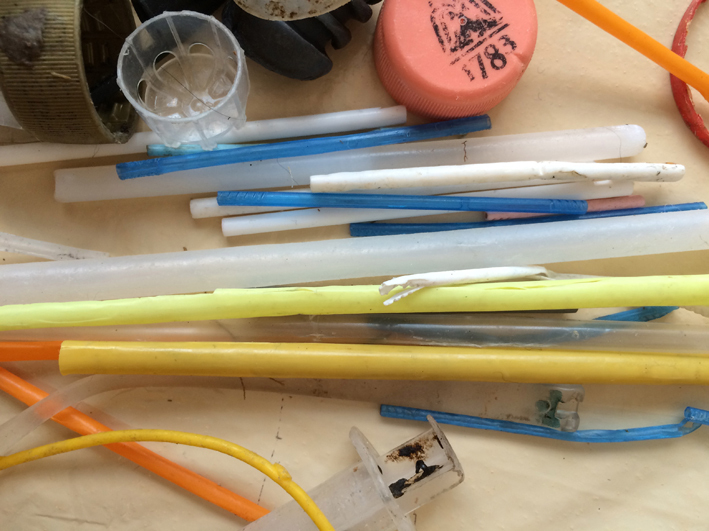 My involvement in Trash or Treasure has also meant that I have re-evaluated my own use of plastic materials and re-thought how I might cut down and re–use the small but still significant waste that I produce.